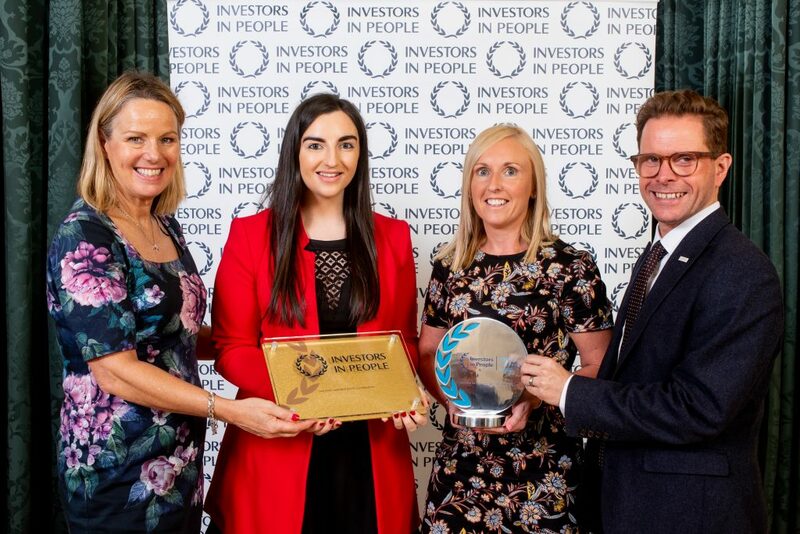 Colloide Engineering Systems, was among 68 organisations celebrating Investors in People (IIP) accreditation at a presentation ceremony held at Belfast Castle on the 5th October 2018. Pictured with Investors in People’s Paul Devoy and Shelna Sinte, are Joanne Irwin and Eileen Quinn from Colloide Engineering Systems. Paul Devoy, said: “Organisations succeed by realising the potential of their people. The organisations receiving Investors in People accreditation today are proof of that. “People’s strengths, ambitions and ideas are the engine of success. IIP accreditation signals to customers and employees your commitment to good business and people management excellence. Organisations are judged to have achieved IIP standards based on a tried and tested methodology of leading practice and a rigorous process of assessment. Since 1991, Investors in People has set the standard for better people management. The Standard defines what it takes to lead, support and manage people well. Successful accreditation against the Investors in People Standard is the sign of a great employer who understands that it is people that make the difference. Investors in People, Shelna Sinte, said: “The commitment to the Investors in People Standard by an organisation is demonstration to not only grow the business but more importantly grow the people also. The opportunity today to recognise what has been achieved by these organisations in Northern Ireland highlights the hard work and effort made to rise above the crowd and become a benchmark for people management and development excellence. The event today allows those businesses being recognised to celebrate the achievement of the IIP Standard and again recognise the benefits to be gained through the continued investment in the skills and effectiveness of the people within an organisation, whether large or small.